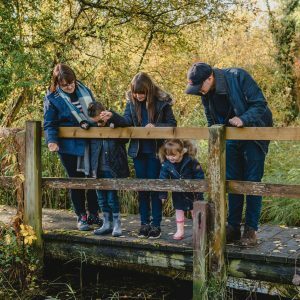 Having children with a four-year age gap means that it is sometimes difficult to find games that we can all enjoy especially those that are educational without the children knowing that they are learning as we play. When Drumond Park sent over their Wordsearch Junior game I wondered whether this would a great game that we could play on may different levels and keep both Roo and Tigger happy. Blue for finding picture patterns and sequencing – choose from cards illustrating Zoo, Pets, Fruit, Fairy Tales, Faces and Balls. This lets younger players practice finding rows and sequences of simple items such as STRAWBERRIES, BANANAS and APPLES. The series of pictures can be hidden in all directions – horizontal, vertical, diagonal or backwards. 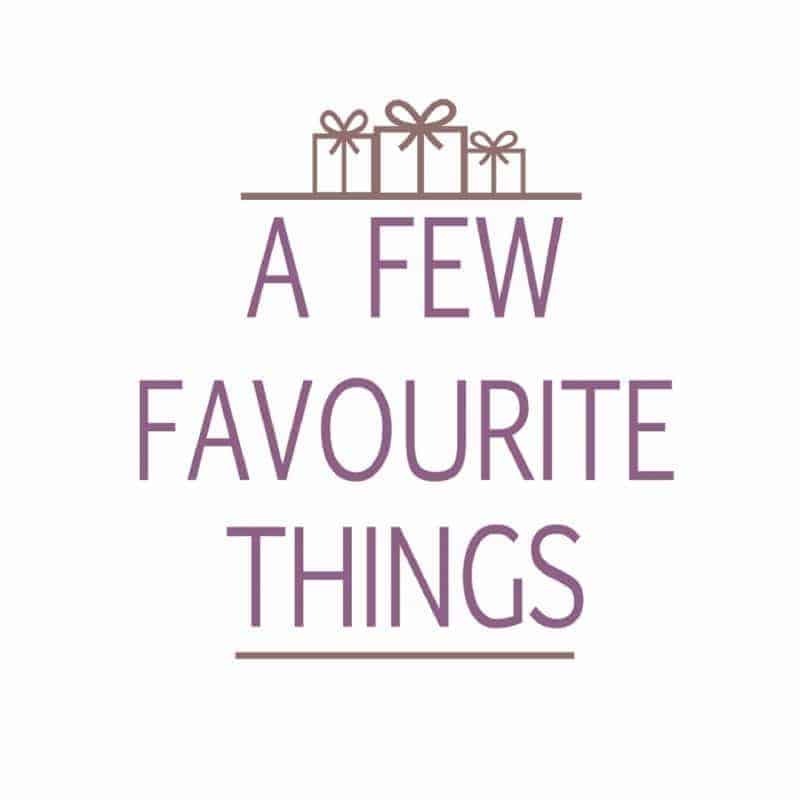 Red for finding words with picture hints – featuring Summer Holiday, Garden, House, Forest, Farm and Animals. Here the players have to find a picture – say a BOOK – with the word spelled in a row beside it. The pictures and words are set out from left to right, top to bottom or diagonally. Green for finding words – choose from Transportation, Sports, School, My Body, Food and Clothing. This is the highest level, where the children can play with a grid of pure letters, looking for simple words like CAR, STREET or LIGHT. The words are hidden from left to right, top to bottom or diagonally. 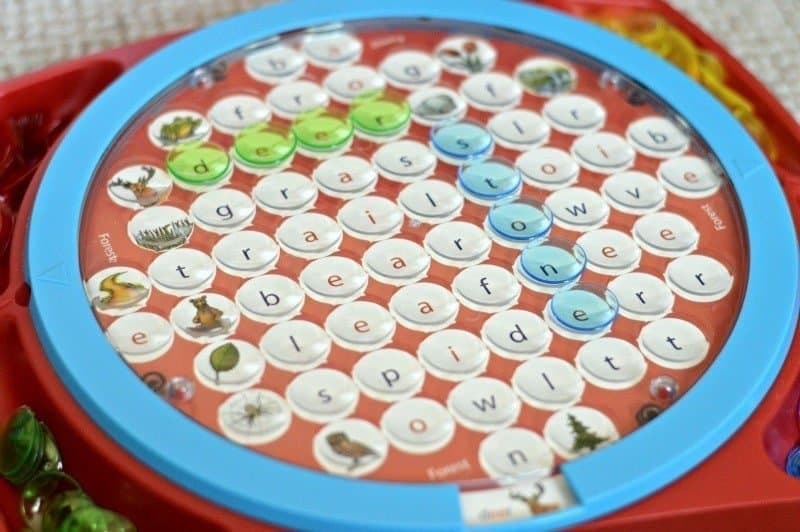 With Tigger starting school this year he has developed a thirst for phonics and letter recognition which the Wordsearch Junior offers him the opportunity to play at different levels whether he is understanding patterns or spelling out words with a picture besides to assist him. Whilst Roo has been enjoying the green difficulty level especially setting a timer up to see how quickly she can find all the words hidden within that puzzle card. Overall it is a great family game that can be enjoyed by all whether you swap between the different difficulties or work your way through each puzzle card. 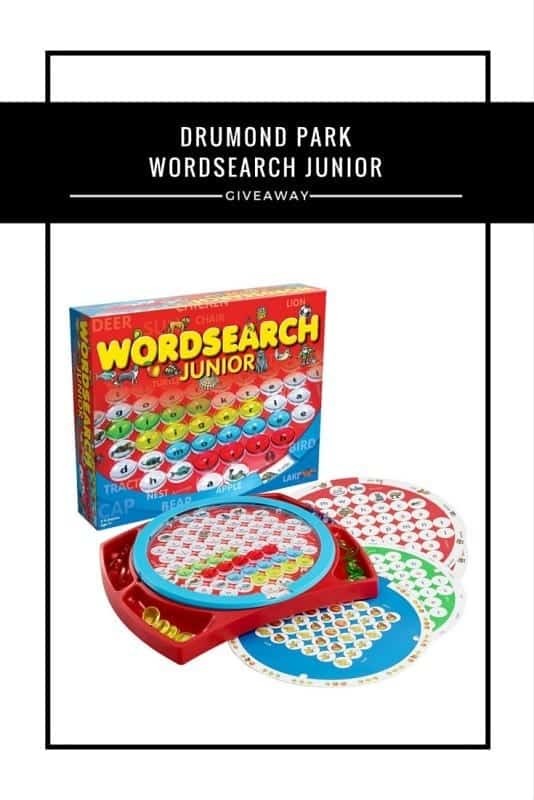 The Drumond Park Wordsearch Junior game is priced at £19.99 and is available from Amazon, Argos and all other good toy retailers. To help spread the family game night fun Boo Roo and Tigger Too have kindly been offered an additional copy of Drumond Park Wordsearch Junior to giveaway to one lucky reader. Definitely Articulate – love, love, LOVE it! The Logo board game looks great! The Og on the bog looks very funny. Family Fortunes. 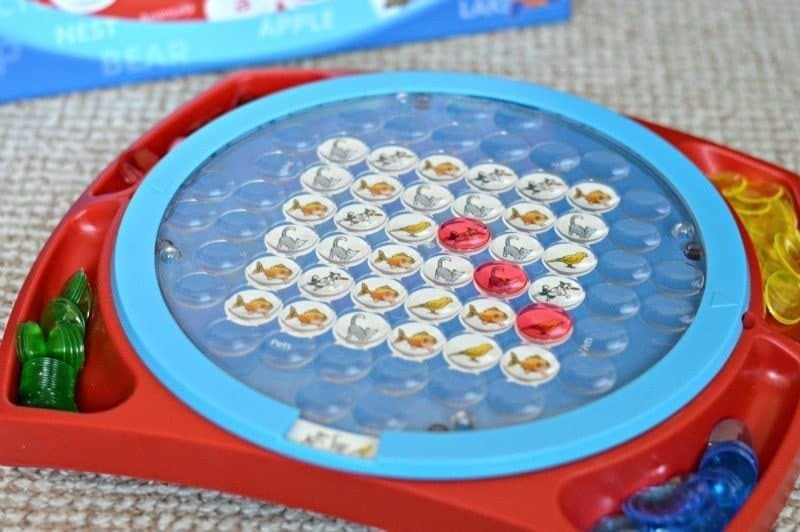 I have always enjoyed that game. I used to play it on the NES (It was called Family Fued). Mask N Ask looks like good fun! We love Logo and my niece has asked for Og On The Bog for Christmas! We have the logo grab game which is great fun. We have Logo! We would like Don’t wake dad too! Catchphrase would be great fun! I love the look of the Dino Bite game! 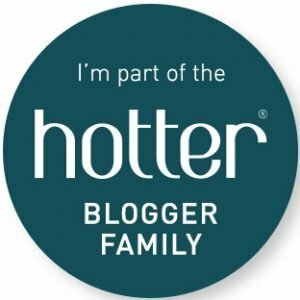 Doh Nutters looks like lots of family fun! We all Love Logo game !! ‘Logo’ looks lots of fun. Rattle Me Bones. It looks like so much fun! 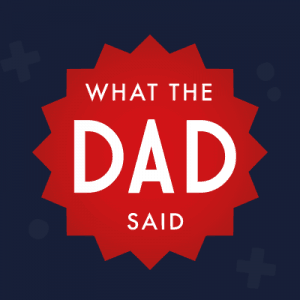 Catchphrase – all the kids, aged 3, 5, 8 and 9 have a go when we watch it on TV, with very interesting variations according to age lol! Og on the Bog looks like the silly kind of fun that we’re all about!